Every long caravan of cars on single lane roads is invariably led by a driver over 80 years old driving at half the speed limit. And “pull over area for slower traffic” signs were invented AFTER they got their driver’s license!! Brought to you by Roy-ters: Food for thought!! It appears that research at CMU has shown that if you think of food, you feel like you have eaten it!!! Your appetite goes away!!! Category: Humor | 2 Comments on Brought to you by Roy-ters: Food for thought!! Are you kidding me? This the Institute of “Cancer” Research. Why are they studying what makes people fat? And how did they even come up with the idea of switching off and on the lights as people sleep? Who is giving them research money? Can they not, for just now, accept eating less food, exercising a little more as the answer? And whatever little fat is leftover, maybe they can come back to it after they have….. let’s say…. errrr…. found a cure for cancer or something? 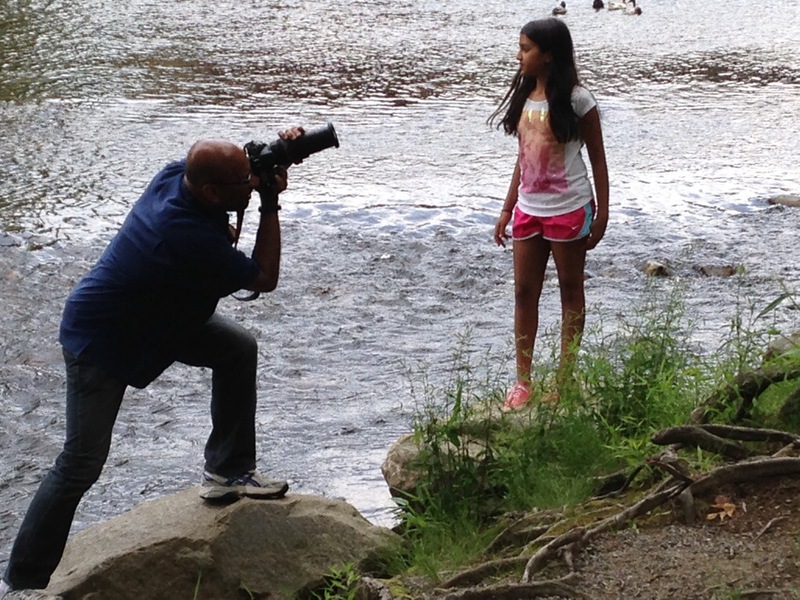 On our drive yesterday to Smokey Mountains with the inlaws and two of Tasha ‘a classmates from her previous school, we stopped by River Oconaluftee in the Cherokee Reservation. Took a few shots of all the girls around the river. Found this photo on Sharmila’s iPhone this morning. Lessons in life: What a perspective!!! 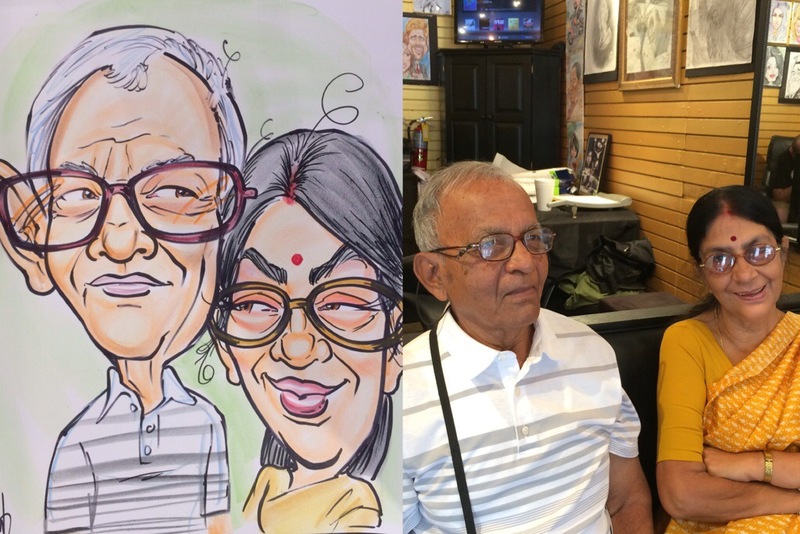 A few weeks back, one of our teammates and a personal friend of mine – Karthik Mani – took a sudden leave of absence. All of us were aware of the tough times his young nephew was going through. The kid’s liver was destroyed beyond the limit at which the liver could regenerate itself if surgically operated on. (Btw, I learnt that liver is the one of the rarest of rare human organs that can grow back after surgery – provided there is a minimum amount left). The only hope was a liver transplant – and there was a long queue for that. Not to speak of the complications that a large tumor might have on a kid’s liver’s shape and position – thereby making a transplant potentially impossible. Eventually, there was a donor found and since this had to be done in matter of hours, he took the first flight to be by his nephew’s side as they started the surgery. Almost eight hours of surgery later, it was a grand success. With most organ transplant, it is always somebody’s misfortune that is your good fortune. All we can do is pray for them and say thank you! I was stunned by his magnanimity. Like everybody else, I was so overjoyed by the good news that I could think no further. And here was my friend, who paused to think the other side of the coin. And it dawned upon me then that the donor had to be in a age group close to my friend’s nephew. Which would mean some parents lost a young son or daughter. In all likelihood, in a terrible way. And that it is when I was frozen. I got that lump in my throat thinking about those parents. What an unthinkable loss. And then in a minute my mind went back to my friend. What a great perspective he had. How many of us really pause to think the other side of the coin? And yet, there is almost always another side to everything. Truly understanding both sides probably gives us the best perspective of anything. I have always maintained that in life, I have risen to whatever I have risen to because of some strong shoulders people around me have lent me to step on. A couple of weeks back, I realized how broad my friend’s shoulders were. Thank you, Karthik Mani, for setting yet another example for me. If not anything else, you have made an organ donor out of me. We can be of tremendous value even after we die. Category: Musings | 34 Comments on Lessons in life: What a perspective!!! Me: So, Jordan, if you were the President for a day what would you do? Jordan: I would change the school system to be like the ones in Finland. Jordan: They pay their students to go to school. Before I could internalize what I just learnt, Almudina interjected “You cannot do that. That is a state issue. You have no power over that”!! Ah! High school and those social sciences classes!!! 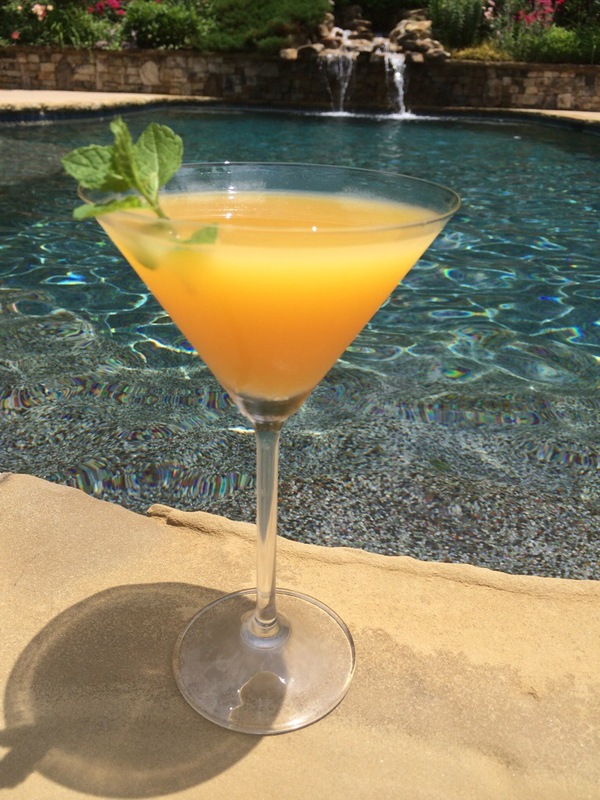 Orange juice, orange vodka and grand marnier…. One of the coolest things about weekends and my time offs is that Niki and I get to do “projects” (her word, not mine). Today, she chose “cleaning car”. 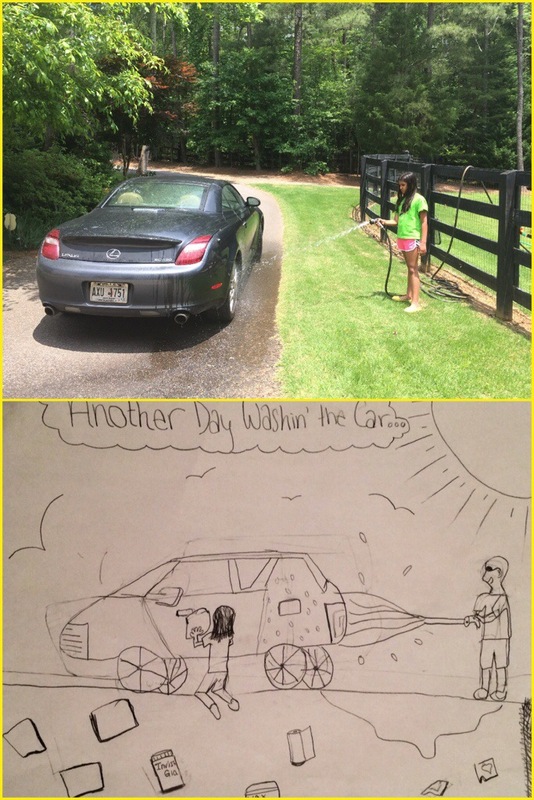 Not only did she help in cleaning my car – hosing, waxing, leather and glass treatment, she then decided to draw what we were doing!! !